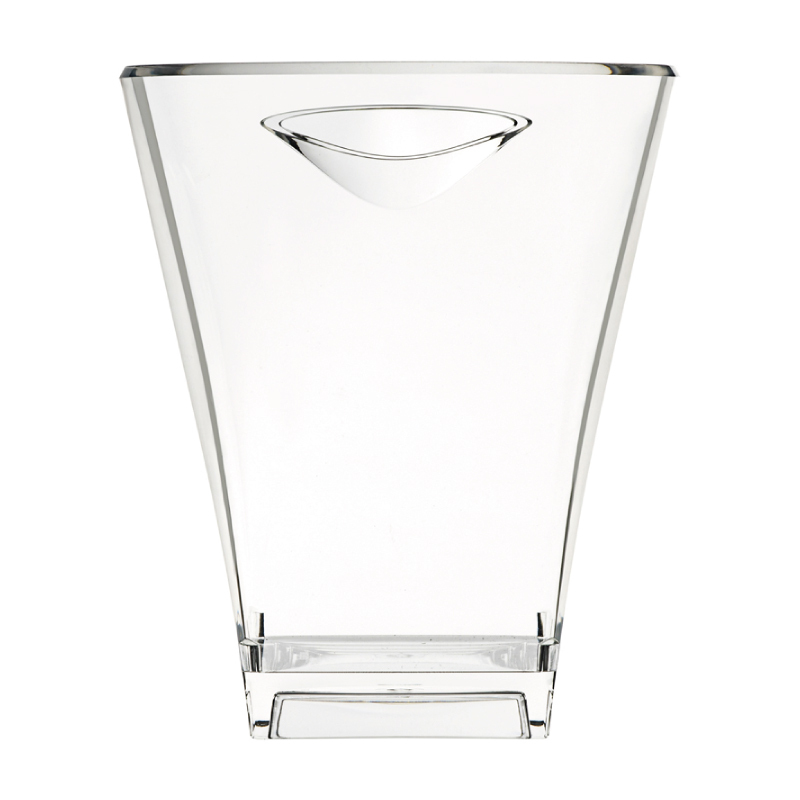 Contemporary and cubist, the sculpted diamond-cut lines of the Icecube create a premium brand image at table. An excellent Champagne cooler, the crystal clear look suits top brand profiles. 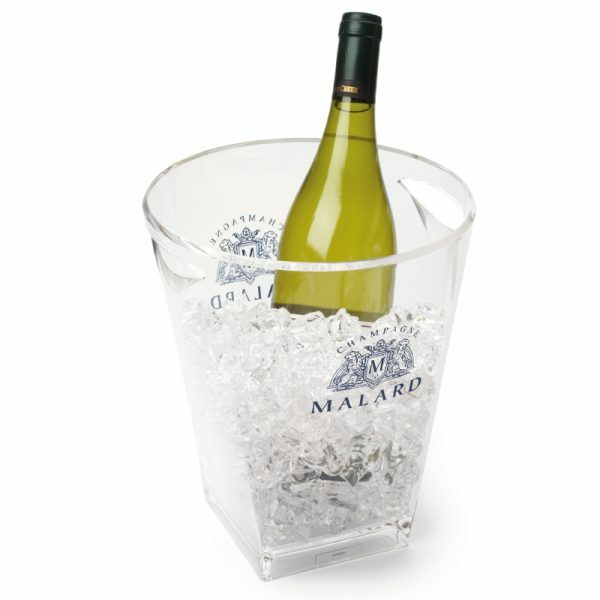 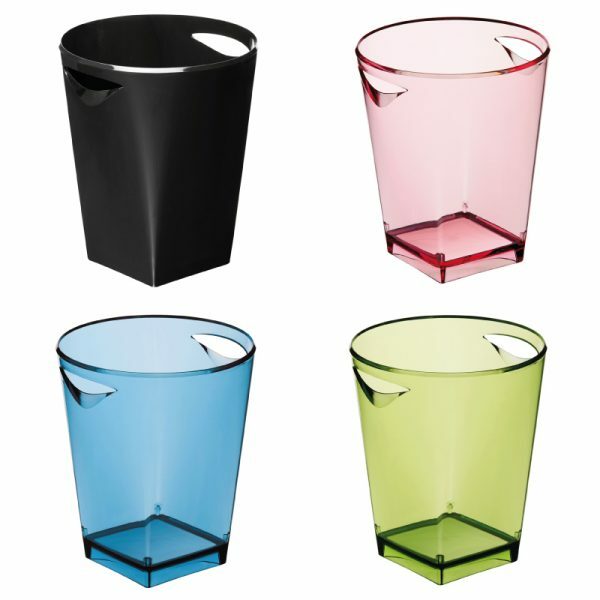 Print on both sides of this high quality acrylic Ice Bucket from 100 pcs.